We have 2 daughters named Allison and Rachel. - My father Charles Kline was a teacher for over 20 years at Whitehall-Yearling. My mother, Marge Kline taught elementary school also in the Whitehall School system in the 70's and 80". All 4 of the "Kline Kids" graduated from Whitehall-Yearling in the 1970's and then went on to college at Ohio University. My favorite teacher was Mr. Jon Anderson. Jon was my 11th grade English teacher and also the advisor for the school newspaper and yearbook. 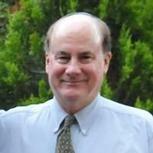 Robert KLINE updated his profile. View. Robert KLINE changed his profile picture. Robert KLINE added a comment on his Profile. Robert KLINE has a birthday today. Robert KLINE has left an In Memory comment for Jon Anderson WYHS - English. Jon Anderson was my favorite teacher at Whitehall-Yearling. He was a wonderful person who inspired me to go on with my education at Ohio University and Washington University (St. Louis, MO). Under Jon's advisement, many students (including myself) learned their first lessons in teamwork on the school newspaper and yearbook. Rest in peace, my friend! Robert KLINE has left an In Memory comment for Charles Kline WYHS - Speech & Drama. Chuck Kline passed away on February 29, 1996. My dad loved teaching, directing plays and advising his students over his 30 years as an educator. My dad inspired all the 'Kline Kids' to be honest, compassionate, and love G-d. He is missed by us all. Robert KLINE posted a message.